Electricity has penetrated deeply into virtually every aspect of American life, be it in industry, the home, or in the rapidly growing commercial and service sectors. 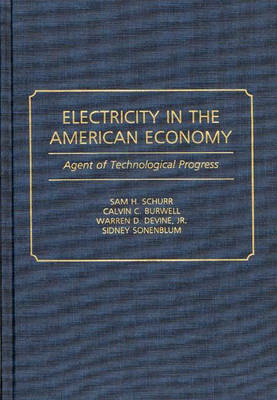 This book documents and analyzes the existence of a strong, and growing, synergy between technological progress and the use of electrified production techniques in the United States during the twentieth century. The authors use two types of information in their work: case studies of the ways in which technological progress in particular industries and economic sectors has depended upon the adoption of electrified methods of production and aggregative long-term national economic statistics that measure the changing relationship over time between increases in the use of electricity and other factor inputs and the growth in industrial productivity. Eleven of the book's thirteen chapters cover the case studies, while the remaining two chapters and the statistical appendix contain the broad quantitative findings and supporting data. In their analysis, the authors address three inter-related questions from a long-term evolutionary perspective: Why has electricity's share of total energy risen so sharply over the years? How has this rise been related to productivity growth? and Why has the rise in electricity led to long-term improvements in the efficiency of overall energy use despite the thermal energy losses sustained when fuels are converted into electricity? The answer to these questions, they contend, is the technological progress represented by electrified production technologies, and in the new ways of organizing production that are now possible. The different ways in which electrical energy has been put to work, and with what results, are examined in the various case studies presented, and further documented in the aggregative statistical analysis. This study reveals the important role that the electrification of production operations has played in supporting productivity growth in manufacturing and other economic sectors in the past, and the important part that it can continue to play in the future. This book will appeal to a broad spectrum of readers; those interested in productivity issues, energy policy, electricity in general, historians of technology, economic historians, and those interested in current technological issues. It will be a necessary acquisition for college and university libraries, as well as those individuals interested in energy, technology, economic growth, history, and the interfaces among them.